Startup Saturday: Take Your Idea To The Next Level! 42% of new businesses fail because there was no market need! Join us the morning of Saturday, January 26th to learn how to NOT be part of the above statistic. 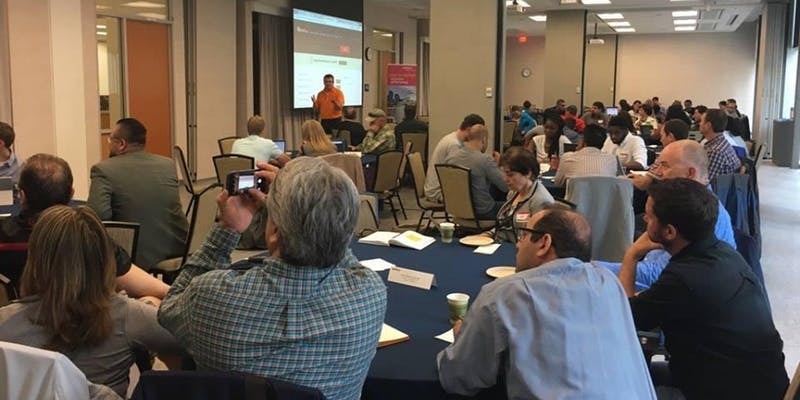 This half-day Entrepreneurship event is designed for aspiring entrepreneurs, startups and early-stage companies who can’t dedicate a whole day or a whole weekend to attend a business building event. This event will leverage the momentum created when Ash Maurya (creator of the Lean Canvas and the Customer Forces Canvas) spent the first morning of the Innovation Rodeo educating almost 100 of Calgary’s advisors, mentors, investors and ecosystem supporters on how to scale a business and spent the afternoon teaching almost 150 early stage and aspiring entrepreneurs the secrets of building a product/service that people actually want. The winner of a Global Billion Dollar Idea Competition, who was also the CEO of a company twice chosen by Dow Jones as one of the 50 most promising startups in North America. A co-founder and advisor to multiple Canadian StartUps that have grown to tens of millions of dollars in revenue - one of them currently has revenue of over $100 Million and is still growing! An award-winning product development expert whose marketing skills and passion for launching startups that helps business create, and find markets for, innovative products and services. An aspiring student entrepreneur who went from having an idea nobody wanted to winning a $100,000 pitch competition to now being a Lean Startups Advisor that is an expert in assumption testing.